New MVP Loops at Shop.PreSonus.com! MVP Loops offers nothing but the best in sample sounds, loop libraries and music software. Their team are responsible for millions of records sold worldwide and have worked on some of the biggest projects of this generation. Lust & Loyalty from MVP Loops is a modern R&B product that gives you the best of both worlds. Whether you are looking to make a modern ballad or something a little more trap dirty, Lust & Loyalty has what you need: 12 melodic construction kits with 625 amazing loops, riffs, and samples. The sounds have all been processed through the best gear and converters to give you the sound that you have come to expect from MVP Loops. All keys and tempos have been provided, and the sounds are amazing. In the style of modern day hit makers such as Chris Brown, Rihanna, Beyonce, and more, Lust & Loyalty has what you need to make modern R&B and modern R&B trap. Get Lust and Loyalty here. Sound Mob Live Edition Vol. 2 is here from MVPLoops! 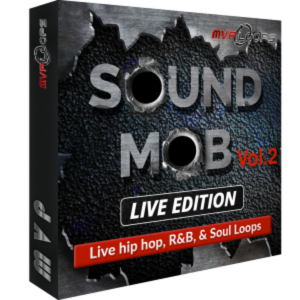 Following up on the huge success of the Sound Mob series, this version boasts 2.51 gigs of sounds containing 1,449 loops, riffs, one-shots and samples in an incredible package. Recorded at our facility in Los Angeles using the best musicians and gear, Sound Mob Live Edition Vol. 2 is a special product. Whether you are looking to create a hit like “It’s a Vibe” from 2 Chainz, Jhene Aiko, Trey Songz, and Ty Dollar Sign or a classic sample-based Jay-Z style hit like “Show Me What You Got,” Sound Mob Live Edition Vol. 2 has what you need. Get Sound Mob Vol. 2 here. Looking to produce a big song to grab the Top 40 crowd, get placed in a movie, or expand an album? Look no further than DREAM, a new product from MVP Loops that represents the current drama-drenched, Top 40, uplifting sound! Music is coming back to the forefront of productions, and artists are looking to bring in as many people as possible—whether it’s Beyonce, Adelle, Wiz Khalifa, Sam Smith, or many other chart-toppers—they have found a formula for making a hit for the masses. DREAM represents this style. 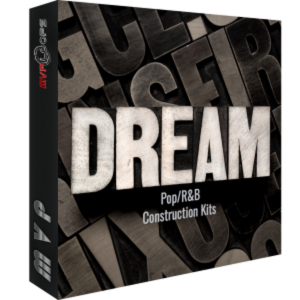 DREAM contains construction kits, loops, samples, riffs, and multi-formatted kits in Audioloops and Impact kits. The sounds are big, featuring bold piano melodies, strings, huge synths, leads, basses, and cracking drums. DREAM is perfect for collaborations of hip-hop and R&B. Welcome back to the West Coast. Smoke Shop features ten modern West Coast construction kits in the style of Kendrick Lamar, SchoolboyQ and YG.Smoke Shop is filled with tons of content including drum one-shots, riffs, full mixes, drum and instrument mixes, giving you the flexibility to sample grooves or individual instruments to create your next masterpiece. Posted in Studio One | Comments Off on New Loops from MVP!